Huge amounts of money are being pumped into cannabis eradication programs, but are turning up little results. What a waste. Each year, the DEA provides states with federal funding to help with the eradication of legal and illegal cannabis plants. With so many states legalizing, both medically and recreationally, it can be hard to understand how this could happen, but under federal regulations cannabis remains completely illegal. While the federal programs have gotten better about leaving legal plants alone, these programs are costing taxpayers thousands of dollars that could be better used to fix broken school systems, improve domestic safety or help aid other, more needed, government programs. 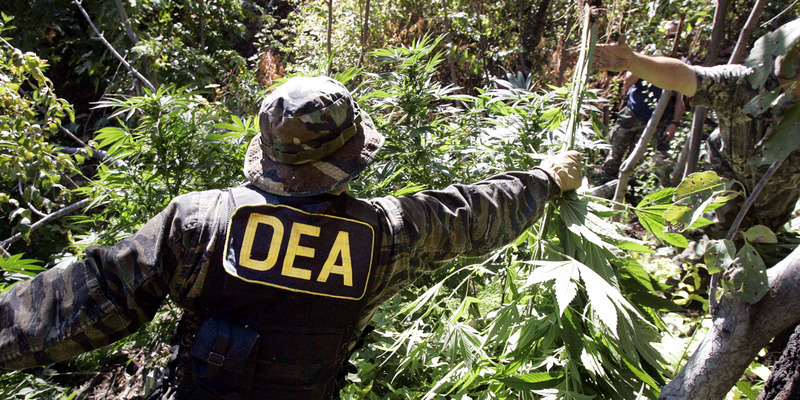 It’s no secret that the DEA is working overtime to exterminate as many cannabis plants as they can find. What is surprising is the amount of taxpayers’ dollars that are being dumped into states programs, with some come resulting in few to no plants being found. The annual cost of these eradication programs is around $14 million. That huge number is down from the $18 million that was being spent before congress members stepped in demanding changes and some states, like Alaska, Colorado, and Vermont, began refusing the federal funding. Although these programs are altogether unnecessary, some states are seeing the funding being used in a worthwhile manner. California received just over $5.4 million, removing 2.6 million illegal cannabis plants and confiscating more than 1,600 weapons. While recovering dangerous weapons is an important part of public safety, there could be much better programs designed specifically for that purpose. Kentucky’s $1.9 million eradication program turned over the largest amount of plants, exterminating more than 570,000 statewide. Along with California and Kentucky, Tennessee, Georgia and Washington State received the most funding for their eradication programs. Washington remains the only state to have a recreational cannabis program that prohibits residents from cultivating their own plants for personal use. Their funding came in around $760,000, despite the legality of cannabis, more than any other state with a legal recreational market. New Hampshire may have seen the steepest prices for the 2015 year, receiving $200,000 to fund their program, which turned up only 27 plants at one grow site. The cost associated with the eradication of one plant is astronomical. Of the 50 states, 23 spent $25 per eradicated plant, while 11 states spent $50 per plant. Delaware, New Hampshire, New Jersey, Louisiana and Utah spent over $100 for every plant their program eradicated, a startling figure when considering some of these states are facing financial crisis in other areas. Congress is beginning to question the necessity of these programs, insisting the funds could be better spent on things like defense efforts, and enforcement of proper licensing for legal dispensaries and grow operations. While the eradication programs do turn up a substantial amount of illegal weapons, the numbers still don’t compete with the amount of wasted funding they’re putting out.